Here is yet another classic advertisement published back in 1960’s “No Black Tie Black Tie”. You see a full length Nehru Jacket, made of brocade to give that perfect shine and richness to your clothing. He knows we don’t manufacture suits. We make them. Much the way a Savile Row tailor makes his. Mostly by hand. We hand-cut the cloth. Then we shape it. And paste it. And sew it. And button-hole it. By hand. In all we put an average of 30 more hand-shaping into our suits than you’ll find in other suits that cost as much. Or more. Why? Because it’s the only way to be sure that the suit will lit. Precisely. So when a friend asks Sammy who his tailor is, he tells them. When they ask Sammy about his Nehru sul he tells them he had it made. And he’s not putting them on. Fashion comes and fashion goes, but there are some classics that stay forever! It is worth mentioning that fashion is a cycle, it may be outdated today but it was the trend before, and it may not be the most glamorous entity today, but it might have been a rage before. There are also fashionable entities, which have been very consistent since day one. 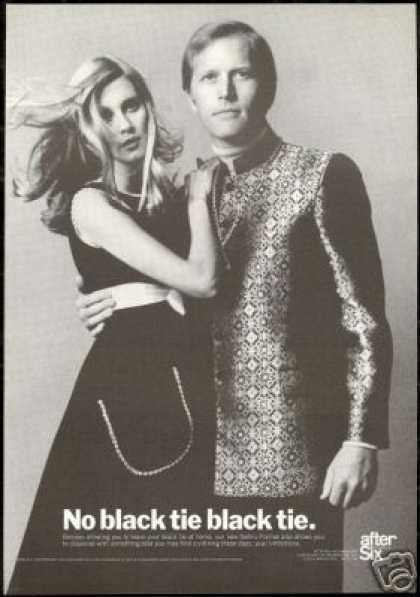 Here is another advertisement showcasing Nehru Jacket from 1960s, an evergreen fashion clothing for me. Nehru Jacket has been the epitome of fashion around the globe ever since the Prime Minister Nehru started wearing it. It appeared in the market in a modified design and updated fabrics from mid 1960 and the promotion of the clothing got popular with the Prime Ministers iconic appearance with the jacket. The wearable was the named as Nehru Jacket from 1960 and lately in 1970 the trend of wearing the jacket got huge market as foreign cultures welcomed the fashion tend warmly. The jacket has been worn by legendary Beatles, Johnny Carson and also in one and only bond series which also signifies the fashion trend of long jackets. 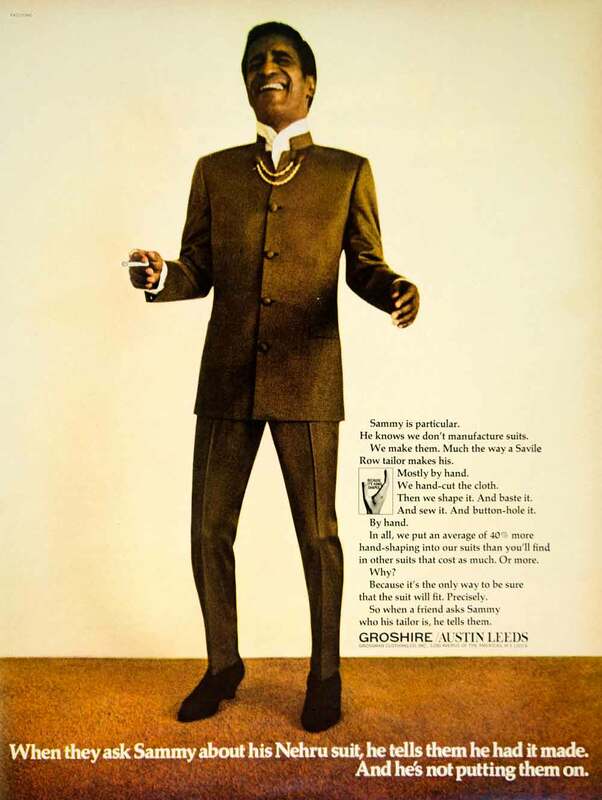 In this post, and many more to follow, we will be showcasing some of the best advertisement from the yesteryear on Nehru Jackets. The Nehru jacket has gone a long way. It had its ups and downs. The jacket was originally called “Bandh Gale Ka Coat” or “Closed neck Coat”. Its first appearance was in the 1940s, but it became more prominent when the first Prime Minister of India, Jawaharlal Nehru, did some public appearance using the style. From then on the hip-length with a mandarin collar jacket style was called ‘Nehru’ jacket. Before it become popular globally, the so-called jacket was just a simple shirt over a kurta and is under any style of coat. It was exclusively for men. Presently, the Nehru jacket can already be worn by women; the jacket became shorter and more refined or tailored; but the main design – fitted style with mandarin collar – remained the same. 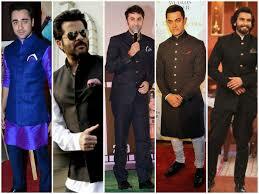 The fame of the Nehru jacket went sky high when four British good-looking guys wore their Nehru jacket in a concert. 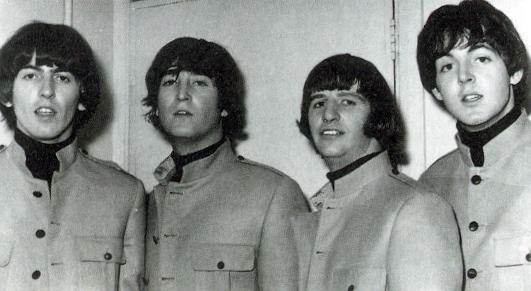 The Beatles first appeared using the jacket in 1965 at the Shea stadium. Yes, the gals can’t seem to get enough of them; and yes the paparazzi kept clicking. But it was the fashion experts who noticed that something is different. Different and nice! The group once again used the style in another concert, thus making the sixties the golden years of the Nehru jacket. After the Beatles, other big artists followed the trend. Some well-known international artists like Frank Sinatra, Sammy Davis Jr., Johnny Carson, Sean Connery as well as fictional character Dr. Evil (Mike Myers) in the movie Austin Powers were seen using the Nehru jacket. Bollywood stars like Aamir Khan, Ranbir Kapoor, Sanjay Dutt and Saif Ali Khan also showed their support. Meanwhile, noticing that the jacket has influenced both Indian and international stars, fashion guru Anita Dongre called the Nehru jacket a ‘classic’. Like any other fad, the popularity of the Nehru jacket died down after a few years. People wearing the jacket are now called ‘old-fashioned’ or ‘frozen in time’. But in the fashion world the out dated style can turn to a gigantic hit in a manner of minutes! 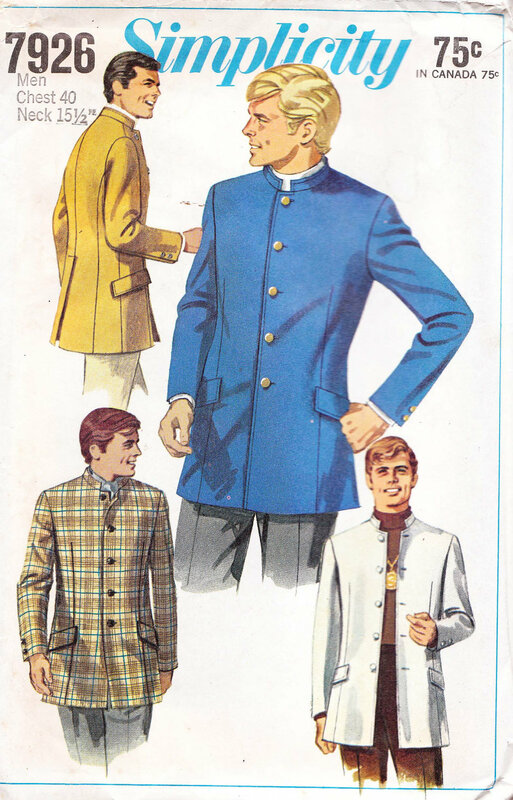 Nehru jacket style returned in the nineties when it started showing up in fashion magazines. In fact, well-known fashion designer Ermenegildo Zegna came up with his ‘guru suit’ in 2002. The suit showed the comeback of the Nehru jacket. Even political leaders showed their renewed interest with the style. In 2001, US Bill Clinton wore a suit with the Nehru jacket style in a public gathering. And, in 2011 Chanel presented their Paris –Bombay collection with the Nehru jacket style as the star of the show. 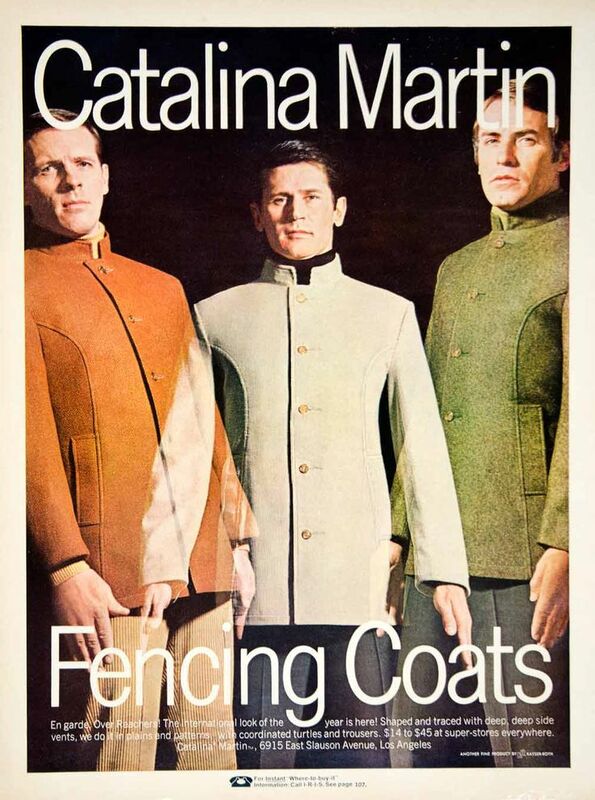 Change in the Nehru jacket style was inevitable. Fabric materials went from simple linen to cotton, velvet, tussar silk and brocades. Intense patterns and designs as well as sophisticated embroidery were also included. The younger generation also changed their color preference. From traditional colors like black or grey, the Nehru jacket can now be seen in pastel colors like chrome yellow and sky blue. Meanwhile, Nehru jackets for women have shorter sleeves, bolder patterns and the length may be waist length or knee length. The enigmatic Indian fashion became more appealing in time. Just last year at the New York fashion week, Marchesa showed an Indian inspired Spring/Summer collection. So while it’s still around, let us all enjoy the monomania over the Nehru jacket from India. Hey you! Got your Nehru jacket on??? !